• Six unique porch looks and decor suggestions to suit your location and style. • Patios and decks of all shapes and sizes for lounging, partying and anything in between. • Sunrooms that let you experience the great outdoors in every season. • Pretty, practical and problem-solving landscape ideas, complete with planting guides. 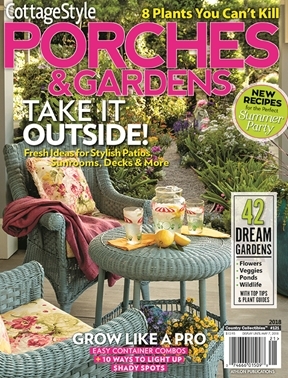 Plus, try out easy garden-to-table food and drink recipes to enjoy for your next alfresco occasion!